From artist to parole officer to criminal justice activist, JR Brennan is an independent performance and music maker who’s not afraid to take risks. This fascinating Australian artist is a panellist at this year’s Disrupted Festival of Ideas, for the topic Taking Art out of the Gallery. Brennan has a busy schedule but Nina Levy managed to pin him down for a Q&A ahead of his visit to Perth. JR Brennan: I graduated from the Victorian College of the Arts’ School of Drama (Acting) in 2000 and have been making performance and music independently since then, in Australia and overseas. In 2007 I returned to Australia from Berlin, where I had been making music as Theatre of Disco, and I took on a job as a parole officer in Sydney. At the time I was pretty jack of the artistic environments I was working in and I jumped at the opportunity of working in community corrections. With the exception of some pretty tedious training, there was an intensity and depth to the work that had been lacking in my artistic experience. The work had purpose and there were real outcomes as a result of what I did or didn’t do. For three years I worked as a parole officer in Long Bay Prison, Sydney, assessing men for release from prison and reporting to the State Parole Authority. Three years into my job working in Long Bay, I received The Keith and Elizabeth Travelling Fellowship and so I quit and went overseas to work and train with some of my art heroes. This included Brasilian theatre company Teatro De Vertigem, Wooster Group in New York and choreographer Deborah Hay. In August 2010 I attended a ten-day workshop with renowned avant-garde Polish theatre company Gardzienice, under director Włodzimierz Staniewski. This guy, along with his team of extraordinary actors, is one of the wildest and most brilliant directors alive. I was blown away. The aesthetic was very different from what I had been making but they were the most impressive artists I had ever come across; disciplined, capable artists working as a team to make soaring, epic performance works, with incredible live music woven throughout. The first time I watched one of their performances I didn’t know what had hit me. It was thrilling. A month later I was invited to join the company as core member and instructor. I became the only non-Polish person in the core company. The other actors had all been with the company at least 10 years, the eldest for 35 years. For the next three years I lived and worked with the company in their compound in a small village near the Ukraine border, acting in their repertoire of performances and working on developing new works. In 2011 was invited by Staniewski to be the first outsider to direct for the company in its 35-year history. I created a large scale work The Mark of Cain, involving a cast of 40 actors, musicians and singers, which was my directing debut on a European stage. In 2014 left Gardzienice and returned to Australia. Since then I have focused on making artistic work around criminal justice: performance, workshops, research and film. In my role as board member of JusTas, an organisation based in Hobart (where I now live), I also advocate for incarcerated people and reforms, promoting justice, best practice and valuable outcomes for returning citizens and the community. NL: How do these various experiences – as an artist, a parole officer and criminal justice activist – influence one another? JRB: One of the most interesting areas of cross over is risk. As a parole officer, part of the job was to assess and manage risk, with an eye towards community safety. As an artist, one of my main tasks has been to cultivate and tend risk within my work. The conceptual cross over between art and crime is compelling: ideas of transgression and consequence vary dramatically between these two worlds and the assumptions we hold around each of them can inform new ways of perceiving our own self-imposed limits and potential for transformation. So it’s important to understand our history of thinking around crime and punishment. It informs our ability to dismantle the influence of moral absolutism. Understanding crime and punishment in society is like a mirror. It shows us how we see ourselves and each other. How we are prepared to treat those who transgress societies rules is a powerful indicator of how we see ourselves and what state our communities are in. By challenging existing models of criminal justice and understanding their roots, we become better artists and communities. In my most recent performance work The Chat, I collaborated with ex-offenders as performers and consultants. We had a set of aims that were spread across the artistic and the social. At times these aims were at odds, which posed some challenges for us in making sure each of these priorities were balanced: for example, experimental performance invites a level of risk that some might consider problematic when working with ex-offenders. We instinctively approached these challenges with a great deal of humour and care, two factors that have embedded themselves as key aspects of our developing methodology. JRB: Since 2014 I have worked on The Chat. 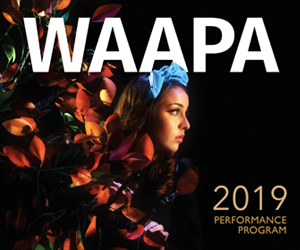 It has been presented at Arts House, Melbourne and La Boîte in Brisbane and is being presented at a main Australian festival in 2019. It’s a big project that took years to develop with a number of streams to it. Its research arm, which I have been presenting at criminology conferences, will be published in a book co-authored by Dr Anna Eriksson from Monash University and collaborating artists, later this year. Making theatre takes a lot of time and effort so I usually make a theatre work every three to five years and in between I am making music. As composer and producer I move freely between electronic, death metal and various forms of classical and folk music. At the moment I am focusing on a new project called Axon Breeze which had its first outing at MONA FOMA this year. It’s a hybrid death metal project with gamelan prodigy Willyday Onamlay Muslim, from Yogyakarta, Indonesia. I have recently completed an experimental documentary that was five years in the making. It was made in partnership with Białołęka Prison in Poland, a large detention centre on the outskirts of Warsaw. It’s a three-channel video work with an original operatic score, which I co-wrote with my Polish collaborator, Szczepan Pospiszalski. The work be shown inside and outside the walls of prisons in Australia and Poland and also, hopefully, at my favourite music festival Sacrum Profranum in Poland next year, if all goes to plan. NL: You’re speaking on the panel for Taking Art out of the Gallery at the Disrupted Festival… what draws you to that topic? JRB: There is both a threat and promise embedded in the image that this theme conjures up. There is threat to both artist and institution depending on who’s doing the “taking”, and there is also the promise of transforming the relevance and access of our art works to a broader and more diverse audience. It holds the promise of a rich ecosystem of bio-artistic diversity, one that that can weather the sort of set backs to funding and appreciation that we have seen in recent years, and survive due to having taken root in too many and too varied locations and contexts. I like that image. Perhaps by expanding our understanding of art we would see that this is already the case. Our culture also holds our artistic expressions, and the survival and flourishing of Aboriginal cultures, despite everything, shows us that this is the case. I have just begun work on a new Virtual Reality project around suicide prevention for Big Anxiety Festival in 2019. I’m looking forward to applying some pressure to my thinking around the project and learning a thing or two from the excellent other panelists who work in the field. JRB: Artefact is a film and performance project led by my partner in crime and art and life, Willoh S Weiland. Willoh won the illustrious Anti International Prize for Live Art in 2015 and was invited back to make a new work for the Anti Festival. We spent six months in Finland making the work, which explores the death of obsolete technology. It’s a big sprawling art film. There are epic moments of nonsense mixed with some real depth of feeling and beauty. As well as building the performance with Willoh, which we performed in a church in Northern Finland, I composed the music. It’s a work for church choir, organ and death metal choir which I wrote while living on an island of Helsinki. The piece is a deconstruction of the original Nokia ringtone, which is a fragment of a guitar work by Francisco Tárrega. It’s showing on the Perth Cultural Screen at 5:15pm on July 28. Bring your phone because it’s an interactive film which encourages you to keep your phone on and sends you text throughout the screening. NL: What’s your favourite piece of playground equipment? Big spinning platform with steel bars around the edge. You don’t see them much these days – probably because they are properly scary. It uses rotary motion to spin around and can clock some serious G force. I’ve seen kids fly off this thing hard. It actually makes me feel horrible when it gets speed up but I just love how this wild whirling thing was considered suitable for kids. The “Taking Art out of the Gallery” panel discussion takes place Saturday 28 July at 2.15pm, in the State Library of WA. Artefact screens on Saturday 28 July at 5.15pm, on the Perth Cultural Centre screen. All Disrupted Festival events are free. Pictured top is JR Brennan.